Online Nutrition Coaching is a solution-focused, self-guided experience with support from an expert. 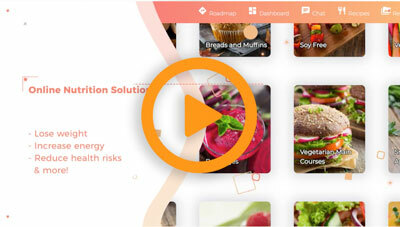 Set goals, track progress, get cooking, and find nutrition guidance at your fingertips! Our lives and jobs are busier now than they've ever been. It's easy to lose sight of healthy eating habits. Here's where we come in. NDC-Nutrition at Work inspires EFAP clients to set attainable nutrition goals. Our accessible program helps employees incorporate lifestyle changes, and develop a personalized action plan to stay healthy and active. 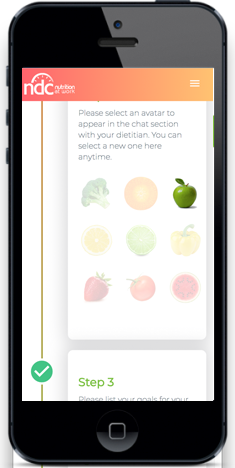 Personalized support for anything from weight loss to medical conditions. Employees get healthier, motivated toward their personal best. Online or on-site, our nutrition training sessions are interactive, accessible and timely. Nutrition support for employees off work due to injury or illness. EFAP clients profit from our custom designed nutrition programs and expert advice. Nutrition strategies for athletes and amateur athletes who want to perform at their best. Get trusted advice from your nutrition coach online or by phone. Create winning strategies and custom nutrition solutions that keep you moving forward on the path to success. Dare to discover a healthier version of yourself!